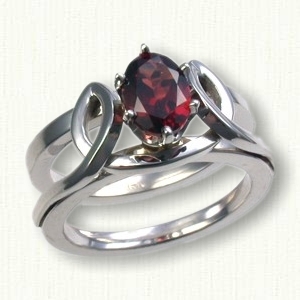 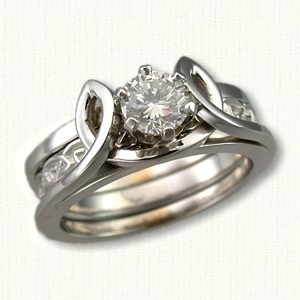 Shown: Julie Anne Reverse Cradle set with a 0.50ct RBC diamond. 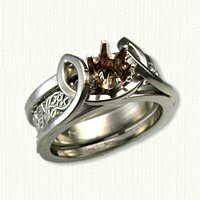 The cradle measures 6-7 mm (outside dimension) and holds a 14kt yellow gold, 3-4mm custom Initial and Vine band. 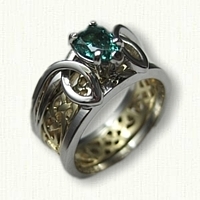 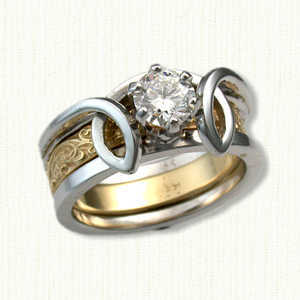 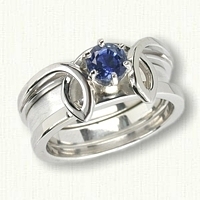 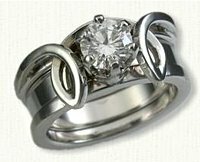 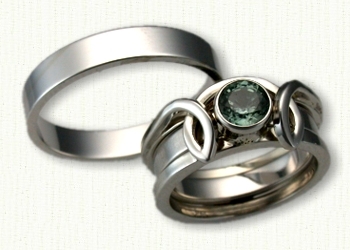 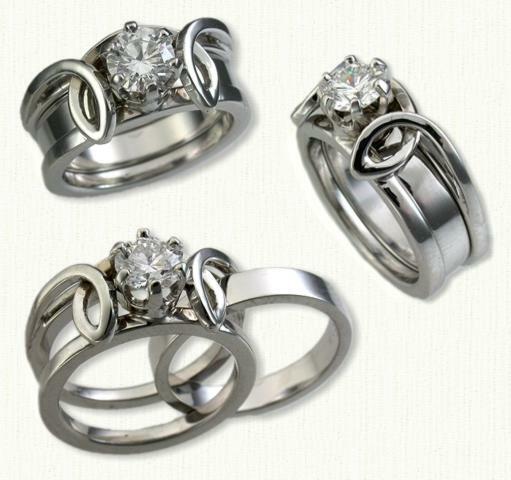 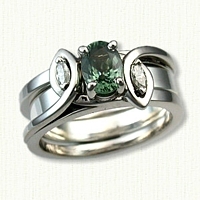 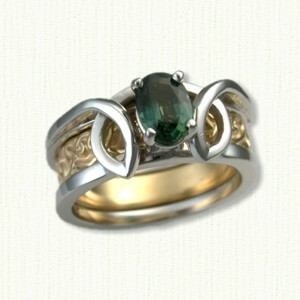 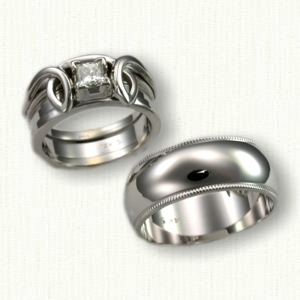 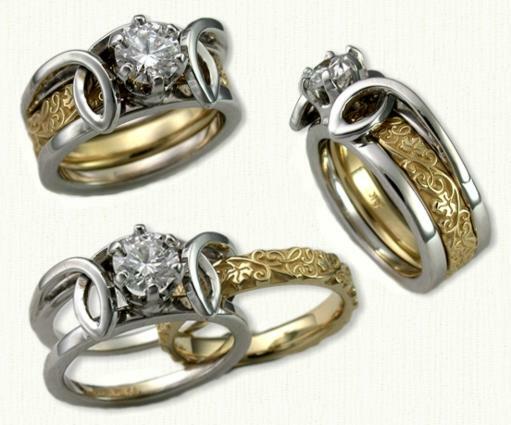 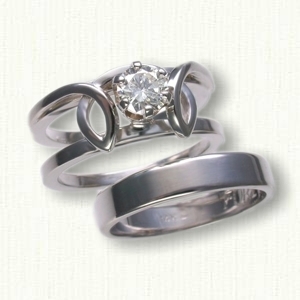 Visit our matching Custom Initial Wedding Bands and Ivy Bands page for other ideas.